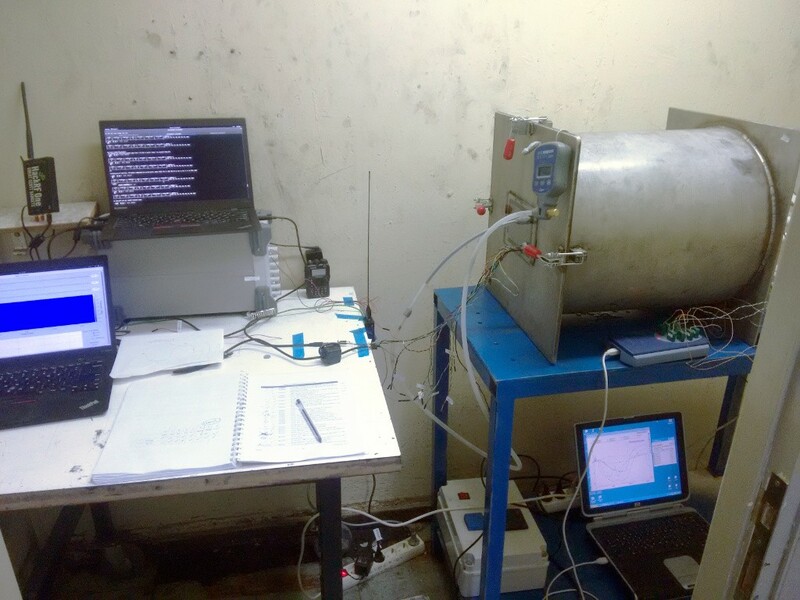 UPSat has successfully completed all thermal-vacuum and bake out tests on the premises of the University of Patras. The TVAC chamber was custom built for the satellite testing. 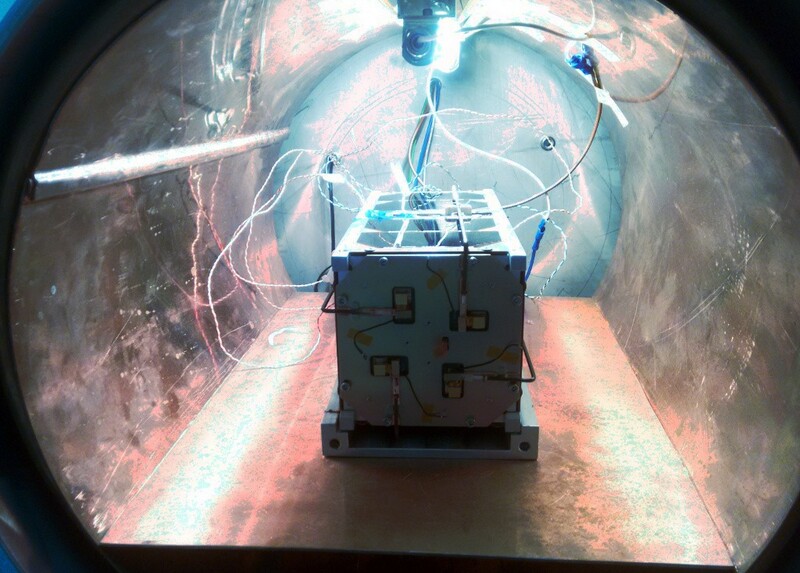 During TVAC testing the satellite was placed inside the TVAC chamber with Y- facing bottom. Satellite was in contact with an alluminium jig only through the length of its sides. Temperature control by PicoScope and custom electronics. The Umbilical connector provides communications with OBC, Power to Batteries, and it’s presence signals debug mode to EPS to hinder deployment sequence. The test was completed successfully according to specifications. 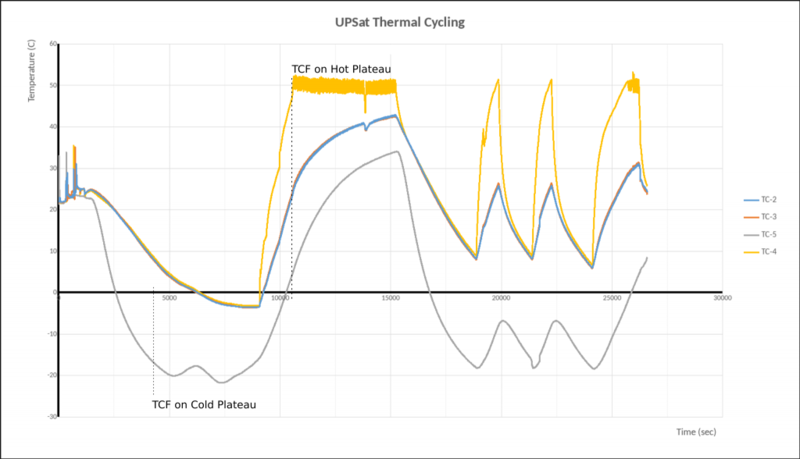 Below you can see the temperature diagrams for Bake-out and Thermal-Vacuum runs. 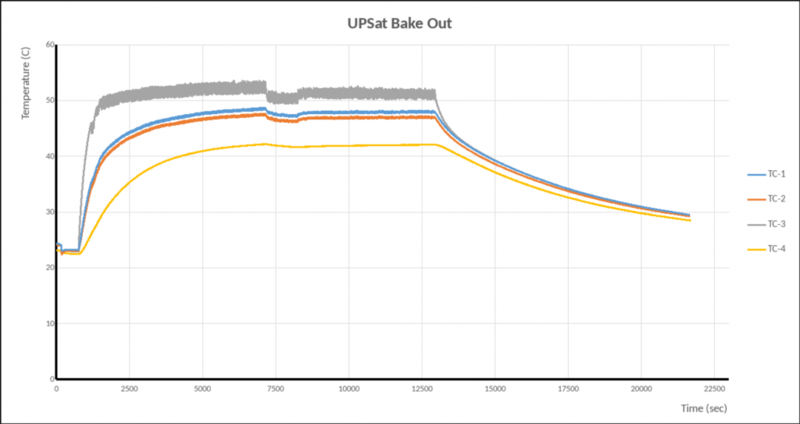 PrevUPSat command and controlNextUPSat – the first open source hardware and software satellite is delivered!